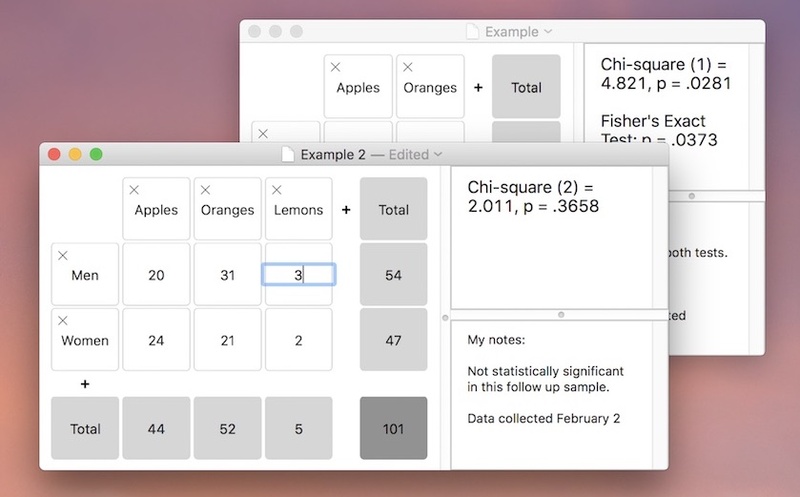 Calculate the chi-square test statistic, quickly and easily, from a contingency table of any size. Much easier to use than SPSS, R, or Stata. Hi! I'm Mark Brown. I am a consultant, social researcher, and part-time app developer. 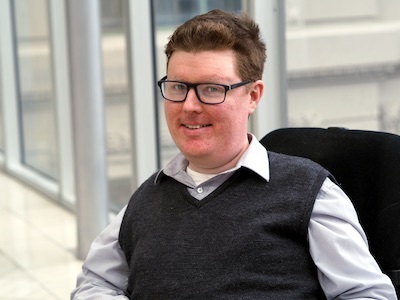 I have a Ph.D. in Psychology, and by day, work in the Australian disability sector. Easy Chi-Square Calculator was a side-project to test out my Swift coding and app design skills. My aim was to create a simple app that does one thing really well and really fast. The chi-square test of independence is one of the most common statistical tests; it's a hassle to do by hand, but it's overkill to use SPSS, R, or Stata. Easy Chi-Square Calculator is lightweight, fast, and its simplicity guards against human error. I hope it is as useful for you as it is for me.